British dream is reality for a grandson of Pakistan. 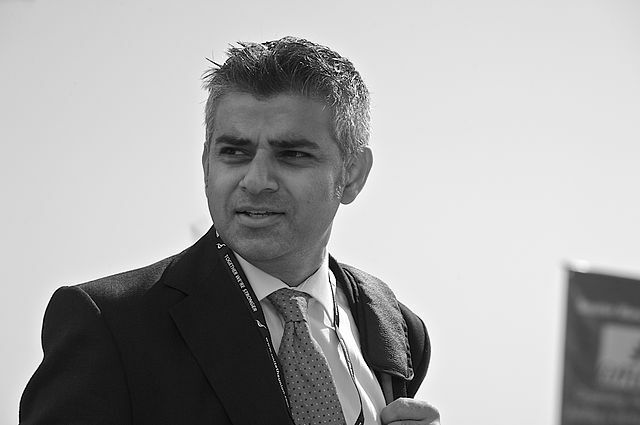 Will having a Muslim mayor help defeat Islamist extremist ideology? While unable to influence the nation’s foreign or economic policy, Khan will have responsibility for key areas in London, such as transport, housing, policing and the environment. And being directly elected gives the London mayor a personal mandate which no other parliamentarian in Westminster – including those in the cabinet – enjoy. Khan’s father was one of hundreds of Pakistani men who migrated to Britain in the 1950’s and 1960’s, seeking the UK’s version of the American dream: stable employment, social mobility and opportunities for a better future for themselves and their families. One of eight children, Khan grew up on a council estate in the capital. He went to university to study law and practised as a solicitor in human rights cases before becoming a member of parliament. Now, at the age of 45, he is mayor of London: the economic and cultural heart of the UK, the largest city in western Europe and one of the most important cities in the world. He is the immigrant success story – for him, the British dream has become a reality. Khan’s Islamic faith catapulted the city’s mayoral contest into the international limelight, at a time when Muslims are facing growing hostility in the West. In the US, presidential hopeful Donald Trump has said that he will ban Muslims from entering the country; while in Europe, the far right is gaining traction by campaigning on explicitly anti-Muslim platforms. During the mayoral campaign, Khan’s “Muslimness” was viewed as a liability by some – including members of his own party. His Conservative rival, Zac Goldsmith, accused Khan of sharing platforms with Islamic extremists – the implication was clear: that the public should be wary of his “radical” views. Goldsmith’s highly controversial campaign has been heavily criticised – notably by senior Conservative Andrew Boff – for its divisive “dog-whistle” politics. Khan’s victory supports what a number of Muslim commentators have argued all along: that having a Muslim mayor could help defeat Islamist ideology, by showing that the West is not anti-Islam – and that Muslims can “make it” there. Khan himself has spoken about the symbolic value of becoming the first Muslim mayor of a city which experienced terrorist attacks in 2005, perpetrated in the name of Islam. But Khan’s victory says as much about social mobility as it does about race and religion. Had Khan’s father stayed in Pakistan, it is inconceivable that his son would have succeeded in that country’s political system, where privilege and connections win elections. There, political office is often viewed as the birth right of the elite. Indeed, the UK has educated a great many of Pakistan’s political leaders: Mohammad Ali Jinnah – the founder of Pakistan – studied in England in the late 19th century. And Zulfikar Ali Bhutto, who was educated at Oxford, went on to serve as both as prime minister and president. By contrast, many Pakistanis who migrated to the UK in the post-war era were subsistence farmers and manual labourers. In many cases, they were illiterate in their own mother tongue. They took up positions in the service industries of the south, the factories and foundries of the Midlands and the mills of northern England. And while some succeeded in pulling themselves out of poverty, the UK’s Pakistani community still has some of the highest levels of unemployment and underachievement in the UK. Many British Pakistanis live in some of the UK’s most deprived neighbourhoods. And of course, British politics is also now dominated by an “old boys’ network”: the cliques of Etonions and Bullingdon club members, personified by the prime minister, David Cameron, the chancellor, George Osborne – and indeed London’s outgoing mayor, Boris Johnson. Yet the working-class Khan managed to win out against a Conservative rival with family pedigree, wealth and friends in powerful political, media and business circles. For many, this is a triumph of meritocracy over privilege – a sign that the political establishment is becoming more inclusive and representative of the ethnic, religious and socioeconomic diversity of the wider population. And Khan is not the only second-generation Pakistani to have entered high political office in the UK. Sajid Javid, the current secretary of state for Business, Innovation and Skills, is the son of a Pakistani immigrant who worked in the mills of the north before becoming a bus driver. So too did the father of Baroness Sayeeda Warsi, who rose to become a member of David Cameron’s cabinet, and was the first Muslim woman to sit at the highest table in the land. In the 2015 general election alone, ten individuals of Pakistani heritage were elected to the British parliament. And now, in London, the son of a Pakistani immigrant bus driver is in charge. He has become Europe’s most powerful Muslim politician. Khan’s victory has shown us that the British dream can become a reality. Parveen Akhtar is a Lecturer in Sociology, University of Bradford. This article was originally published on The Conversation. Read the original article.